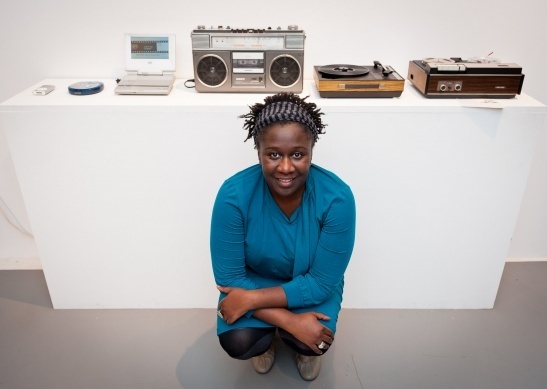 Join us on 13 December for the opening of Diasporic Self: Black Togetherness as Lingua Franca, a collaborative project initiated by artist and curator Barby Asante and researcher and curator Amal Alhaag! On view at Framer Framed from 14 December 2018 – 17 February 2019. 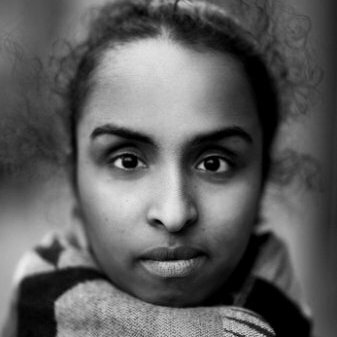 Diasporic Self looks into the meaning, conditions and complexities of the notion of Black Togetherness across Europe. In what ways does Black Togetherness manifest itself in visual and sonic cultures in various urban and contested spaces, institutions and architectures? And what is the role of alternative lexicons in (re)shaping the practices and daily lives of black artists, activists and cultural producers? 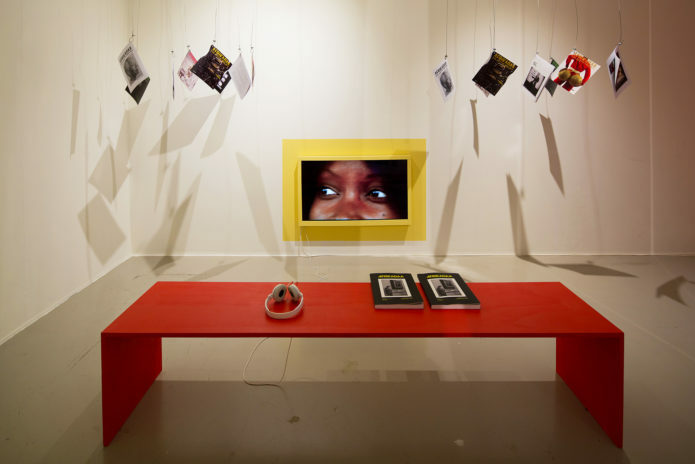 Subverting the notion of the ‘exhibition’, Diasporic Self departed from the question: how can we come up with new, decolonial forms of narrating black visual and sonic culture spatially? Architects Afaina de Jong & Innavision designed a living space for everyday vernacular, performances, radio, translations and improvisations. 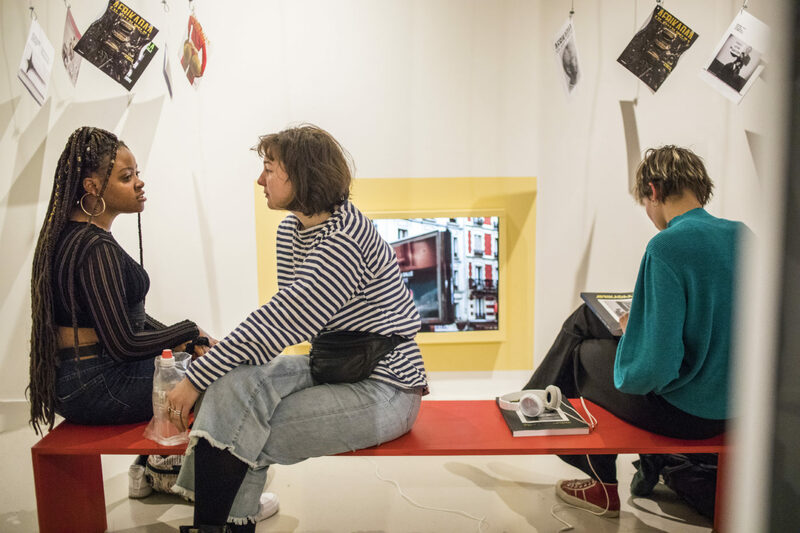 Drawing together myriad black voices from across Europe, the project functions as an experimental platform for (un)doing, memories, presences and togetherness about Black Diasporic communities, by Diasporic selves.